Bitcoin is actually terrible for criminals. Customers of online drug bazaar Silk Road learned that last week. The jig may be up for online drug bazaars that accept bitcoins. Black markets on the Deep Web offer everything: money laundering and a one-stop-shop for illegal drugs and guns. But a recent series of heists, busts and fraud have shown why these bazaars can't be trusted. In October, the FBI shut down Silk Road, the biggest online black market, seizing $3.5 million of bitcoins in the process. In November, a similar site called Sheep Marketplace was labeled a scam after it lost $6 million in users' bitcoins in an alleged hack. And last week, administrators of a revived Silk Road claimed cyber attackers sucked out all the bitcoins it held in escrow -- valued at $2.7 million. This latest episode "may mark the death knell for the dark markets," according to Nicholas Weaver, a security researcher at the International Computer Science Institute. "Between busts, scam-markets, and now mass theft, it is a task that they clearly are incapable of doing," Weaver said. The heart of the issue is that Bitcoin -- by design -- doesn't work well with shady middlemen. Anyone with access to your digital wallet can empty it forever. And all transactions are irreversible. That's why it's not smart to fork over bitcoins to an underground website like Silk Road, which stands between buyers and sellers and holds on to money during a deal. "When you introduce a third party holding on to people's funds, it's absolutely antithetical to the idea of Bitcoin," said Evan Rose, CEO of Bitcoin ATM maker Genesis. "You're giving someone cash over the Internet that you'll never be able to get back." Silk Road's new administrators said hackers exploited a Bitcoin glitch to steal funds. But in the days since the attack, it's become painfully clear that the Bitcoin system isn't to blame. Only two scenarios exist, says Andreas Antonopoulos an engineer at Bitcoin wallet service Blockchain: Silk Road's leaders were fooled into emptying all their accounts willingly, or they simply swindled their customers themselves. Those who currently use bitcoins to buy drugs, weapons or hire assassins also have something else to worry about. All transactions leave a permanent record that's traceable to specific wallets. Even though Bitcoins are technically anonymous, if they ever pull that money out in their name at a legitimate Bitcoin bank or exchange, law enforcement has a direct connection to a real identity. That's why Weaver says bitcoins are essentially "prosecution futures." Bitcoin tracing experts are already cropping up -- and they're teaming up with law enforcement too. Sarah Meiklejohn is a computer scientist and graduate student at the University of California in San Diego, where she explores how people are spending their bitcoins. She said people spending bitcoins in black markets don't realize "every bitcoin is by nature a marked bill." And it's not as forgiving as actual cash. If police catch you buying something illegal in person, you get criminal charges for that single act. Bitcoin's permanent, public ledger gives prosecutors a much longer memory. 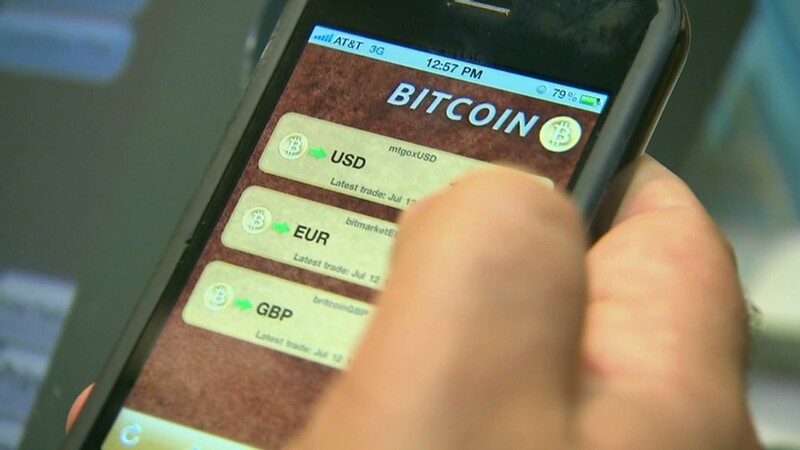 "if you get caught buying drugs with bitcoins and they look at your transaction history, you get caught on every transaction you've ever made," she said. "It's much more serious."